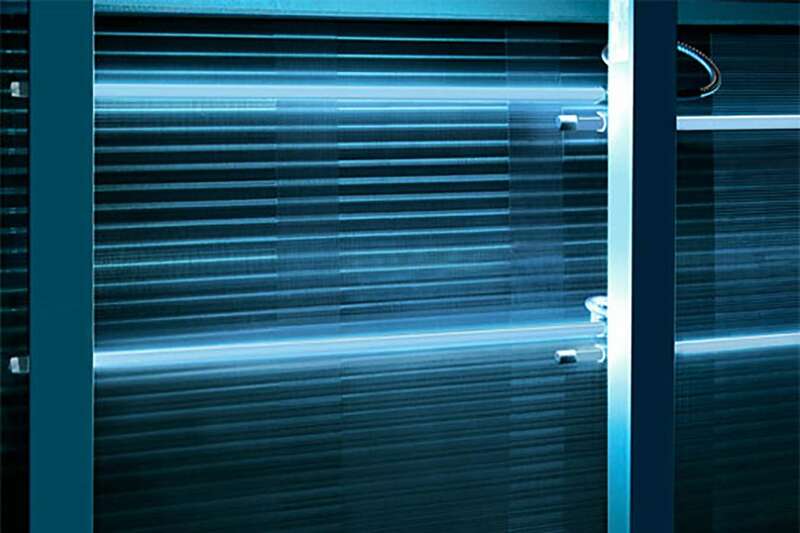 Company History – Top Manufacturer of Advanced UV Disinfection Products – UltraViolet Devices, Inc. U.S.
Lou Veloz worked as an engineer for Westinghouse during the time that they developed and patented the first commercially available ultraviolet lamps. Lou, excited by this new technology, purchased a Westinghouse UV lamp dealership in 1949 and moved his family to Southern California. 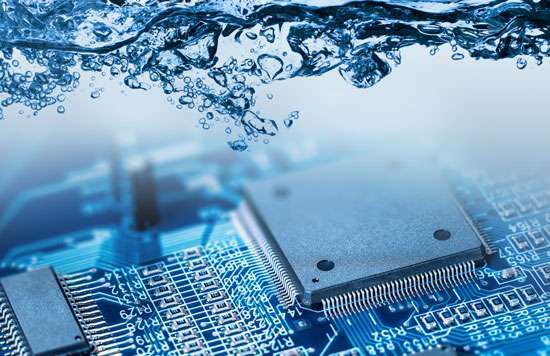 With a vision for just how powerfully this new technology could be adopted, he subsequently formed Aquafine Corporation to focus on water disinfection. His first products were sold to the U.S. Department of Agriculture to disinfect surface drinking water sources used by Arizona agricultural workers. This opened the doors to similar markets he focused on such as the cottage cheese industry, the fruit drink producers, beverage bottlers, ice cream manufacturers and bakeries. Lou’s son, Thomas Veloz, joined the company in 1962. In the decades to come, great innovation and growth occurred from the applications of UV in the pharmaceutical, beverage and semi-conductor industries. This growth propelled Aquafine into international sales and distribution. In the late 1980s, a global marketing company approached Tom about partnering on a consumer water disinfection system. In order to best serve this market, Tom created a separate state-of-the-art company, UVDI, in Valencia, California. In the years to come, millions of these point-of-use systems would be sold worldwide. As UVDI thrived, Tom and his team began to see another market on the horizon: the disinfection of air in commercial and residential buildings. In 2002, UVDI launched its line of UV air disinfection products, as well as acquiring Sparks Technology in 2006, one of the few companies in the world manufacturing bonded activated carbon making UVDI the exclusive manufacturer of BPS (Bonded Particulate Structure) technology. With the ability now to provide healthier building air as well as energy savings through continuously cleaned coils in the HVAC system, great growth continued. 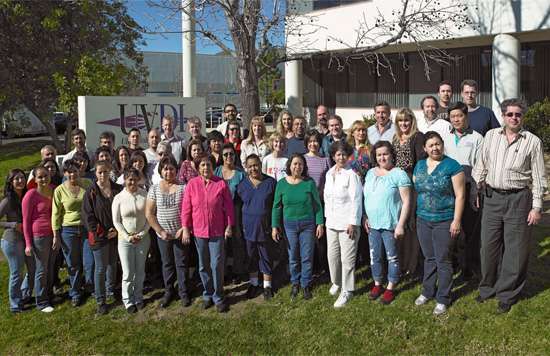 UVDI cultivated a leadership role in the industry in both R&D and manufacturing, but what has continued to set the company apart was its total commitment to quality and customer satisfaction. In late 2006, the third generation of the Veloz family took over the leadership of UVDI. Tom’s sons, Peter and David have expanded the company through new partnerships, new markets, and new levels of success. New innovations have included the development of a mobile, whole room UV disinfection unit for infection prevention in hospitals. This technology breakthrough, after gaining published clinical evidence proving its use reduces HAI’s (hospital acquired infections), has been adopted by hospitals worldwide. Far from seeing its last innovation, UVDI continues to press forward into new applications and technologies that are being developed.